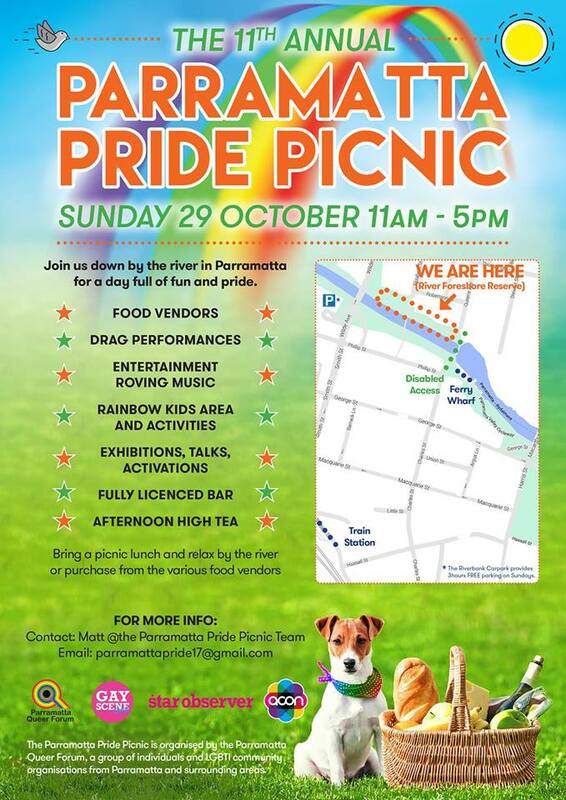 The Parramatta Pride Picnic is celebrating it’s 11th year and for the first time SGLC will have a stall, plus we will be headlining the main stage at 4pm. You might even catch a quick pop up performance at our stall around 3.30pm. 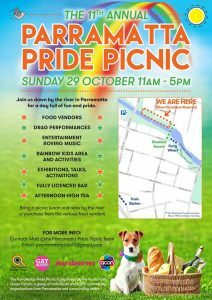 A massive day is planned with 45 community stalls, rainbow kids activation area, the Holly and Ace dog show, food trucks, Q&A panels, drag queens, Bollywood dancers, buskers, choirs and more. 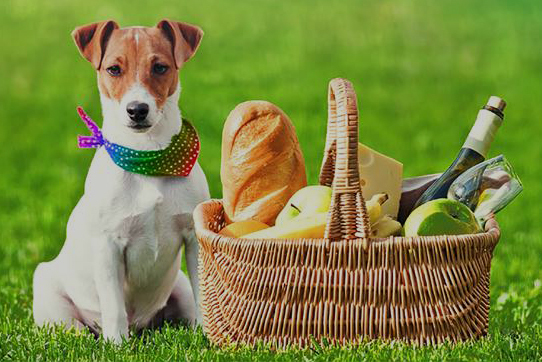 This year the picnic will showcase a fully licensed area for purchasing craft beers and wine, a charity sausage sizzle, activities from Team Sydney, ambient music, performers, exhibitions and a chill zone. A massive highlight is the afternoon high tea, art exhibition and panel of local women who will be encouraging all of us to challenge gender norms and help create a community where women are valued and respected. Come along for a day of community, pride and singing!